The Zen Circle is a round form of art which is drawn quickly and freely, seemingly without any practice. Yet for a contemplative artist, drawing one is very much a practice, a mindfulness practice which expresses one's state. Like other forms of art, it is a creative means through which to focus and train the mind. Each one is an invitation to come back to the present moment. In my interview with the Drawing Your Own Path podcast, I discuss many aspects of my art practice. The term practice refers to doing something over and over again on a regular basis. Often one practices doing something to get good at it, like learning how to play an instrument. Then there are practices like taking a daily walk where the outcome is more subtle but which may lead to feeling healthier and happier. And there are practices one does for no other reason than just doing them. Drawing the enso is like all of these kinds of practice. First one learns how to hold a brush and draw a circle. With repeated practice, one may began to experience benefits like those experienced with meditation such as calm, peace, and joy. However often I practice just for the purpose of practicing, for the experience in the moment, whatever that experience turns out to be. 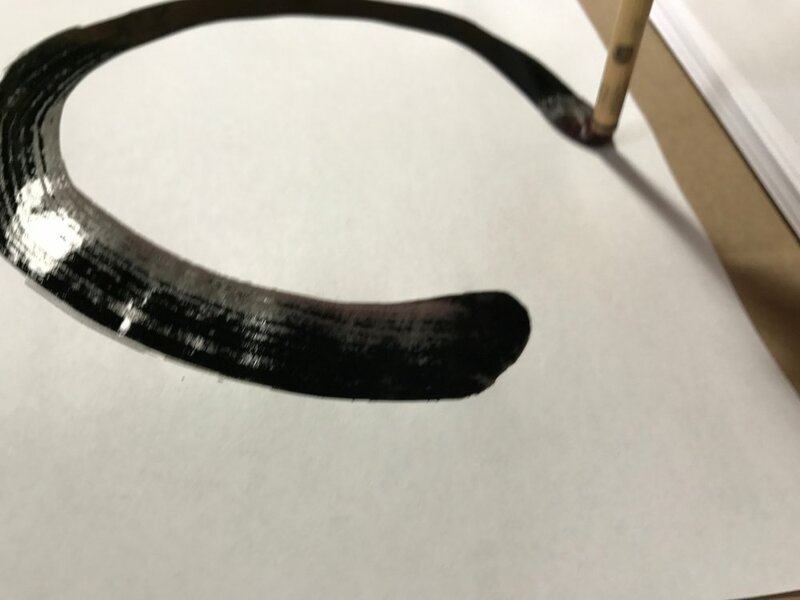 Although it is traditional to draw the enso from the bottom of the page, when drawing the enso, you can start anywhere. There are no fixed starting points. You start from nothing and any point is the right starting point. Drawing enso circles is a way to get present and calm down. It is like a moving meditation. It is form of discipline where you learn to relax your mind and rest in state of focus and absorption. After drawing many circles, you may experience a settling in to a natural state of being. When I draw the enso circle, I do my best to be completely aware and present. 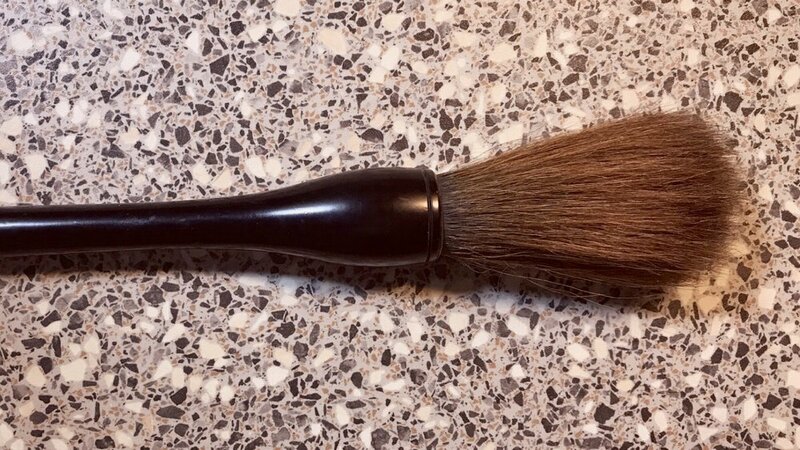 This attention applies not only to the actual brush stroke but to the process of setting up my work space, preparing ink or paint, laying out a sheet of paper with a paper weight on the top or corners, and moistening my brush and bringing it to a point. When seated, I sit upright with a straight back, with my shoulders down, and my elbow slightly raised. This posture leads to good form and a stable container for awareness practice. I dip my brush into paint or ink and bring it to a point. I hold the bottom of my page with the hand that is not drawing, so the paper doesn't move. I recheck my posture to make sure my shoulders are down and relaxed. I tune into and focus on my breathing. Then while focusing on the process, I draw a circle. After a circle is drawn, I set down the brush and look at what I have created. Then I set that circle aside and reset my work space and my posture. 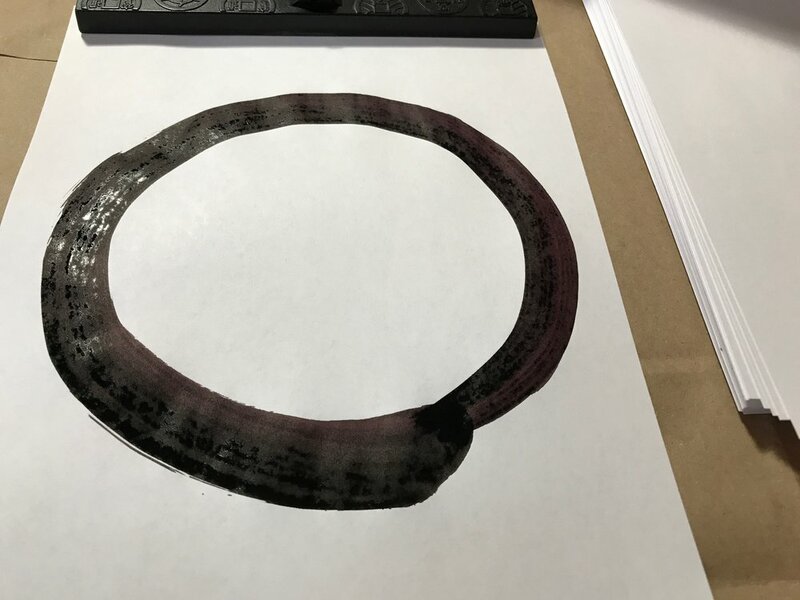 With the same mindfulness, I draw another circle.